It’s true, the saying, that you can have too much of a good thing. We can often get caught up in the mundane routine of day to day life and this can apply to how much CBD oil we are taking on a daily basis. We humans are not designed to be the same 24/7, we do, no matter how hard society tries to thwart it, respond to the rhythms of nature on a monthly and seasonal basis. If you think of who you are today, you are not the same person you were at the same time 10 years ago. We are constantly in flux and need to tune into these changes. This flux applies to how you take CBD oil, as much as anything else. According to the World Health Organisation1 CBD oil consumption is safe - as long as you are not on certain pharmaceutical medications (2) with no adverse reactions in humans, and has many health-giving properties (3), we all have our own individual biological tolerance to what dosage works best for us and it can vary from day to day and week to week. 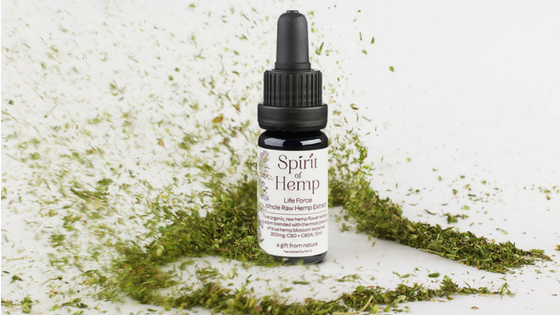 It’s good to start with a small dosage of a high-quality CBD oil like Spirit of Hemp, one to two drops at night is good, and then slowly work up to increase the dose to a second dose in the mornings, as your innate cellular cannabinoid receptors are awoken and start to function. You can then increase the number of drops you take sublingually at night/in the morning depending on the ameliorative effect it has on your symptoms. Some people do best on 4 doses per day. Many people find small doses more often work better than 1-2 doses per day. However, after a while, the body can get used to the daily intake of CBD oil and so our tolerance levels change. Rather than take a larger dose to get the same results as the initial small dose. This is the time that the body may require a smaller dose to help manage symptoms or that actually a break is needed for a few days. If you have been using the CBD oil for 4-6 months with success the dose you have been using may begin to lose its effects. In this case, you do NOT need to increase the dose, it’s time to consider a CBD oil break in order to reset your tolerance. It’s advisable to take a break for approximately 7 days. 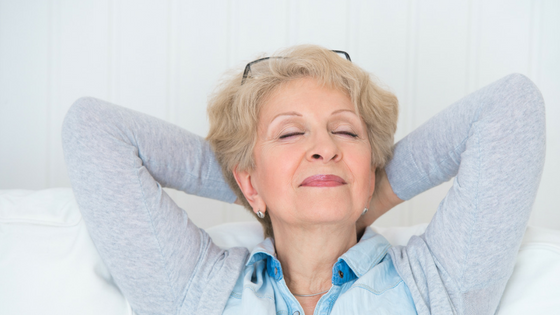 Signs that you need to re-evaluate your dosage may include: a breakthrough of your original symptoms (4), tiredness (5), (6), feeling jittery or being wakeful at bedtime (5),(6). It is important to note that this is not the case with all people and many people experience continued success with the same dose indefinitely and no breaks. At the end of the day, there are no known negative side effects of consuming CBD oil1, you just need to make sure that you are in tune with which dose is right for you. If you would like to have some guidance as to how to work out your individual dose please get in touch with Caroline Westoll. N.B. as with any supplements please seek advice from a professional health practitioner or your doctor if you are already taking medication to prevent any adverse interactions. Caroline works with clients all over the world to help them attain their health goals. Using simple but highly effective changes to their diet and lifestyle many people have seen huge improvements in their health. She runs cleanse programmes throughout the year which are designed to fit around your busy lifestyle and have maximum benefit in a short time. 2Ujváry I,* & Hanuš L. (2016) Human Metabolites of Cannabidiol: A Review on Their Formation, Biological Activity, and Relevance in Therapy Cannabis Cannabinoid Res. 2016; 1(1): 90–101. 3 Iffland K. & Grotenhermen F. (2017) An Update on Safety and Side Effects of Cannabidiol: A Review of Clinical Data and Relevant Animal Studies Cannabis Cannabinoid Res. 2(1): 139–154. 5 Chagas MH, Crippa JA, Zuardi AW, Hallak JE, Machado-de-Sousa JP, Hirotsu C, Maia L, Tufik S, Andersen ML (2013) Effects of acute systemic administration of cannabidiol on sleep-wake cycle in rats. J Psychopharmacol. Mar;27(3):312-6. 6 Murillo-Rodríguez E1, Millán-Aldaco D, Palomero-Rivero M, Mechoulam R, Drucker-Colín R. (2006) Cannabidiol, a constituent of Cannabis sativa, modulates sleep in rats. FEBS Lett. Aug 7;580(18):4337-45.